Watch South Korean actor Lee Byeong-Heon (picture) in Iris an action-packed Korean drama series, now showing on KBS World (Astro Channel 303 on Wednesday and Thursday at 9pm). 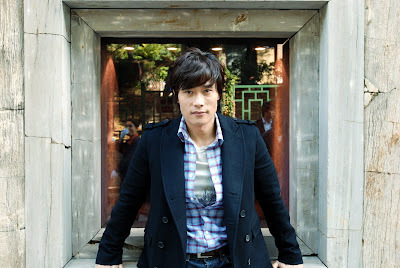 As bitter National Security System (NSS) secret agent Kim Hyeon-joon, Lee keeps me on the edge of my seat leaving me asking for more when each episode ends. His romance with NSS profiler Choi Seung-hee (played by South Korean actress Kim Tae-hee) is sweet and touching which seems strange considering his tough demeanour. Not really. The "I am ready to kill anyone who opposes me" secret agent is actually a very soft and romantic man. He is the guy every woman wants to have!!! Big, strong and loving!!! Iris reminds me so much of BBC's Spooks, a "tense drama series about the different challenges faced by the British Security Service as they work against the clock to safeguard the nation". I am annoyed that Astro has removed BBC Entertainment from the Metro Package. I can no longer watch Spooks. Give me one good reason why you did that, Astro!!! I am so grateful to KBS World for Iris.